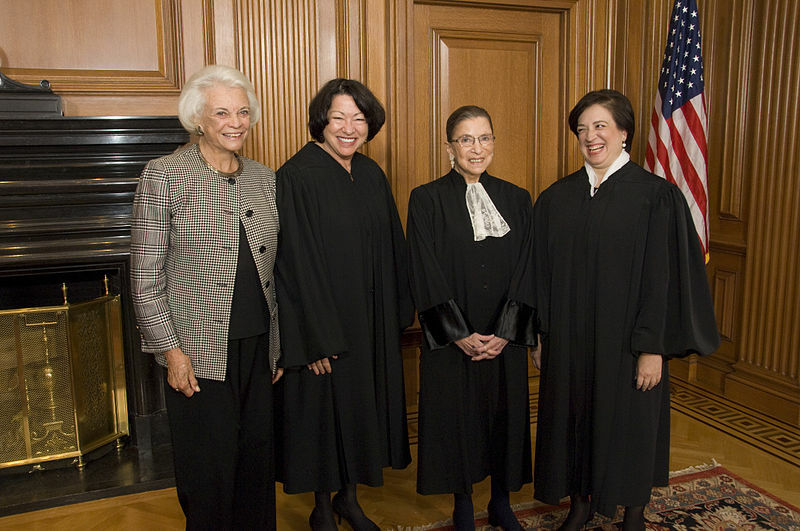 Ruth Bader Ginsburg, second from right, is one of three women currently sitting on the U.S. Supreme Court, with Elena Kagan, right, and Sonia Sotomayor, second from left. Former Justice Sandra Day O'Connor, left, was first. (Photo courtesy of the U.